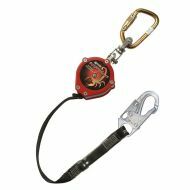 MiniLite 11 ft. SRL, web lanyard end connector, locking snap hook, steel twist-lock carabiner, 3600 lb. gate. Scorpion 9 ft. 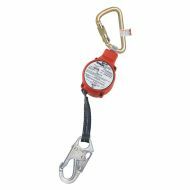 Web Retractable Fall Limiter, lanyard end connector, locking snap hook. Protecta® Rebel™ 11 ft. x 1 in. 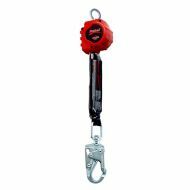 polyester web retractable lifeline.